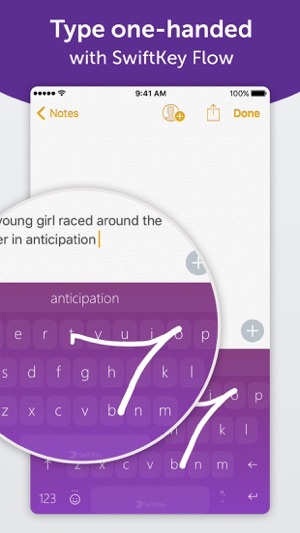 SwiftKey is the intelligent keyboard from Microsoft that learns your writing style, so you can type faster. SwiftKey is always learning and adapting to match your unique way of typing - including your slang, nicknames and emoji. 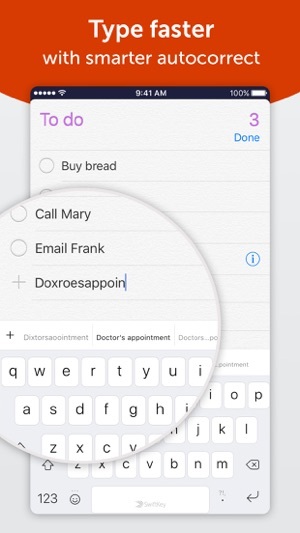 This means autocorrect that actually works and helpful predictions that let you get your point across fast, without errors. 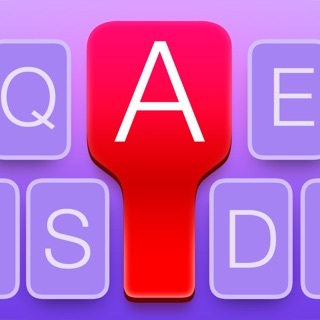 Customize your keyboard to match your style, with dozens of themes to choose from. 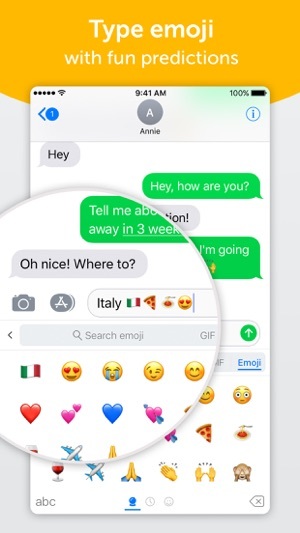 Send emojis, GIFs and more to your friends – SwiftKey even learns your favorite emoji. 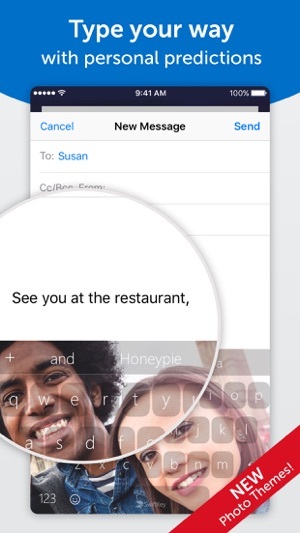 Let SwiftKey help you text faster with Artificial Intelligence, swipe typing and more! Download now. 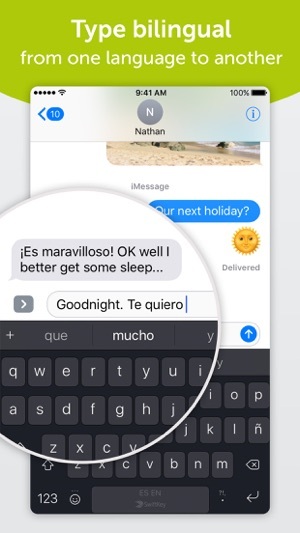 Swipe, type and send messages to all your friends with a predictive keyboard that learns from you! Download SwiftKey and get started. - We’ve added a new Animal theme pack – 5 new designs, optimized for iPhone X, XS, XR & XS Max. Go and check them out! - We’ve reduced the minimum distance required to trigger Flow – it’s now easier to Flow two letters words like ‘as’ & ‘we’. I have had this app just about a year now. Having the ability to swipe and not chicken peck on a cellphone to send text and email is huge, but some basic features on this app are inconsistent and worse than earlier versions or similar apps (hard to know switching from Droid to Apple). For instance, as others have mentioned, it completely forgets previous frequently used words not even suggesting them, instead inputs words I have never used or selected. Where do they come from? I have never heard or seen anyone use this crazy/foreign/ dated language. It does not appear to be improving with usage, as I thought was implied. And to the above point, I use similar language frequently and I don't know why I often have to repeatedly correct it from crazy words I never use. Why isn't it improving? Next, when I begin typing a word or compete a word and it offers a suggestion and I choose that word from the suggestion box it does not input it but leaves the few letters I typed and enters a space after the incomplete word, or just enters a space after the wrong word. I have to go back and select the word again or completely type the word myself. What's the use in suggestions then? I am growing increasingly frustrated with this app and beginning to question if chicken pecking might be faster and more hassle-free. I love SwiftKey, and have had it for years now, buuuutttttt... Every now and then it seems like it forgets all words lol. For instance I will just type and show you the ridiculous predictions it makes... Seeley is they beat ladybirds applications I have asked to be ony phone fit this looks (years) Brevard it is bets than any other keyboards I have ever been able Fri use that actually does what I need it to do. Thus is turning out to be a bad example of the ridiculous words of will change my round into.... Sooooo, what I just typed (or tried to) is "SwiftKey is the best keyboard application I have allowed to be on my phone for this long (years) because it is better than any other keyboards I have ever been able to use that actually does what I need it to do. This is turning out to be a bad example of the ridiculous words it will change my words into"... You get the point. Just wonder why it seems to forget my words at random times. Makes typing longer and more difficult when I have to re-type every word over and over and OVER AGAIN. But other than those random points where it re-learns my style or regular English (lol), I do love this app.